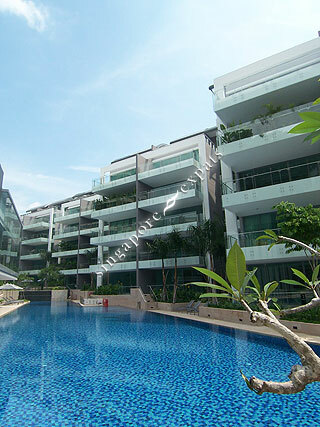 Orange Grove Residences is nestled between Orange Grove Road and Fernhill Road, a paradise of beauty and tranquillity in the heart of the city, tucked away in the alluring ambience of one of the most prestigious neighbourhoods in Singapore. With 60 exclusive, beautifully-crafted apartments comprising of studio apartment, 3 and 4-bedroom apartments as well as luxury penthouses, Orange Grove Residences is where the privileged few can live life freely and fully. At Orange Grove Residences, the bedroom plays out a warm and luring sanctuary while plush bathroom with designer wash basins eases one into those long relaxing moments. Culinary delights are prepared with the finest Miele kitchen appliances in the neat and well-designed dry and wet kitchens. The abundance of décor and embellishment and exquisite fixtures and fittings assures that no effort is spared when it comes to making it a perfect home at Orange Grove Residences. Orange Grove Residences is minutes away from the vibrant and dynamic Orchard Road, where one can exploit the perfect setting for a day out shopping or high tea. The lush and tranquil haven at Orange Grove Residences is within close proximity to some of the most prestigious schools such as the Raffles Girls School, Singapore Chinese Girls’ School (SCGS), International Singapore School (ISS), Overseas Family School and Chatsworth International School. Orange Grove Residences is also at the crossroads of Singapore, presenting easy accessibility to major expressways such as the Pan Island Expressway (PIE) and Central Expressway (CTE). Public transport is also readily available along Stevens Road.